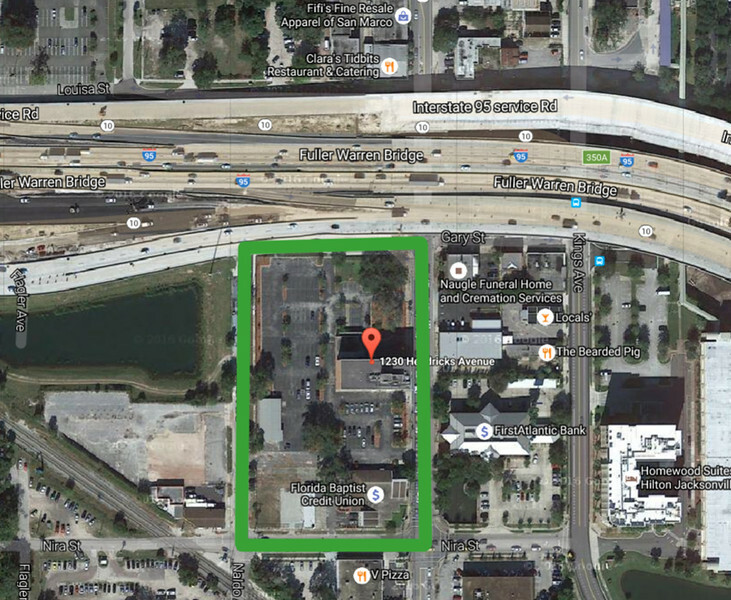 The Florida Baptist Convention property located on prime land in San Marco is under contract to be sold to an undisclosed local developer who will redevelop the site into a mixed-used residential building with retail space on the lower level and on-site parking. First reported by Baptist Press, the sale of the property is expected to close by the end of the year with construction to break ground immediately thereafter. 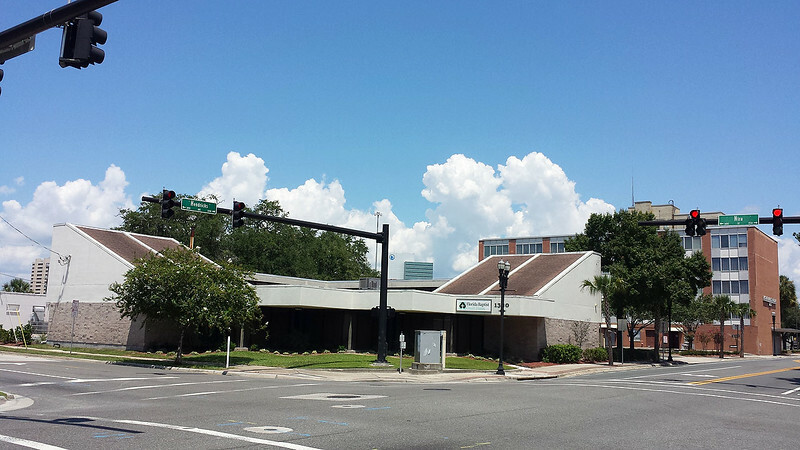 Brian Moulder, Executive Vice President for the CBRE Jacksonville Multifamily group, put together the sale of the property and notes that the site is a ‘unique site in the urban core, a rare find’. Built in 1958, the 3.5 acre site occupies an entire city block bounded by Hendricks Ave, Interstate 95 (including direct highway access), Naldo Street and Nira Street. The property is currently zoned CCG-1. Although the property is currently assessed at a value of $5,706,908.00, the property does not generate property taxes as it is owned by a tax-exempt religious organization. Not only will the sale of the property lead to the addition of residential and retail units in a white-hot urban neighborhood, the property will also be returned onto the tax rolls and begin generating much-needed property tax revenue in a cash-strapped city. Formed in 1854, the Florida Baptist Convention is a group of over 41,000 churches and more than 15,000,000 members, affiliated with the Southern Baptist Convention. Southern Baptists make up the largest non-Catholic denomination in America. Originally built in 1958, the ‘Baptist Building’ has since served as the convention’s hub for missions and ministry for Florida Baptists. In addition to a 50,000 square foot, five-story main building, the site also includes a building housing the offices of the Florida Baptist Financial Services and the Florida Baptist Credit Union as well as another building that serves as a recording studio.